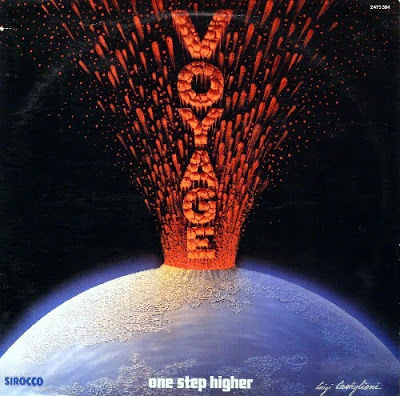 DISCO RECHARGE: VOYAGE – ONE STEP HIGHER: A Fond Farewell To Eurodisco’s First Era – Schlockmania! Contrary to the opinion of naysayers, disco didn’t die at the end of the ’70s. It just returned to its birthplace in the clubs, mutating and diversifying into new strains like boogie, techno and house music. Disco of the original variety did a slow fadeout throughout the beginning of the ’80s – some point to the Boys Town Gang cover of “Can’t Take My Eyes Off You” as the last “traditional” disco song – and the last holdouts cranked out a few final old-school grooves before changing styles to fit in with the new dance music order. One Step Higher was one such album. 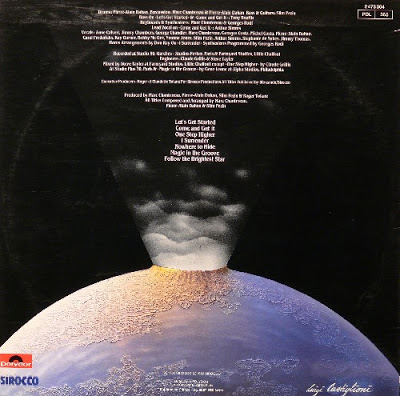 It was the final long-playing venture for Voyage, a collective of French studio musicians who scored big internationally at the end of the ’70s with albums like their self-titled debut and Let’s Fly Away. One Step Higher found them adjusting some surface elements of their style to fit what was going on in the early ’80s club scene: “Come And Get It” is lightly laced with Devo-esque bursts of jagged synth, the title track is a stripped down number whose rhythm track is dominated by drum machines and “I Surrender” is boogie through and through, down to its synth bassline. It’s also worth noting that the orchestration of old has been jettisoned in favor of keyboard textures and the bass lines and guitar riffs have a tougher edge to fit in with this electronics-dominated style. However, beneath all these au-courant affectations lies the traditional Voyage style in terms of songwriting and approach to arrangements. For instance, “Let’s Get Started” is a swooning bit of romanticism where a group of vocalists sing a soaring bridge that captures the song’s spirit of romance while synths fill the places that a string section once occupied. Elsewhere, “Magic In The Groove” engages in the disco-goes-exotica style of older Voyage ventures by injecting an element of island music. However, the album’s best and most traditional moment arrives at the finale: “Follow The Brightest Star” is big-hearted Eurodisco in its best, most classic tradition. An extended instrumental intro with delicate keyboard work creates an adventurous yet sentimental mood that sets the tone for the positivity of the lyrics, which encourage the people on the dance floor to keep searching for the good times. For disco fans who felt displaced by the genre’s shifting fortunes, it was a message they could take to heart – and a strong final note for this group to gracefully exit the Eurodisco scene on. 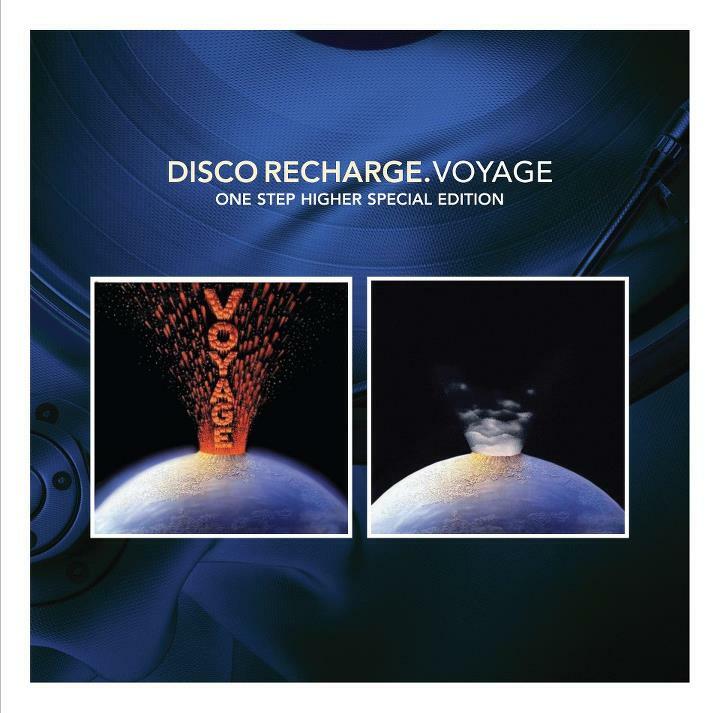 CD Special Edition Notes: Voyage tends to bring out the best in the Disco Recharge reissue series and this 2-CD set is no exception. The original album is presented in a newly-mastered style on the first disc and the second disc unleashes a whopping array of single edits, 12-inch mixes and alternate versions that add up to 78 minutes of bonus material. This might look like overkill to the casual listener but it’s more fun than a barrel of mirrorballs for the disco archaeologists. Combing through this material can reveal a lot of interesting things to genre fanatics. For starters, it’s interesting to note that Voyage’s songs work really well as 7-inch singles, functioning as lush but concise dance-pop thanks to the musical skill of all involved. “Nowhere To Hide” and “Magic In The Groove” benefit the most from the 12-inch mix treatment, giving their grooves more room to breathe and develop than the album-length counterparts, and an alternate version of “I Surrender” that strips out the falsetto lead vocal but leaves the backing vocals gives it a new, unexpectedly dreamy feel to offset its driving rhythms. Or particular interest to fans is the fact that a previously unreleased outtake is also included amongst the bonus material, a song entitled “Almost Made It.” It’s a fun bit of boogie fare, with a nicely syncopated vocal melody, energetic horn charts and a funky synthesizer solo.